Man is organic with the world. His inner life moulds the environment and is itself also deeply affected by it. The one acts upon the other and every abiding change in the life of man is the result of these mutual reactions. I was definitely beginning to think there was a difficult problem here. Until The Overstory cropped up, that is. I needed something to fill the gap left by Unsheltered. 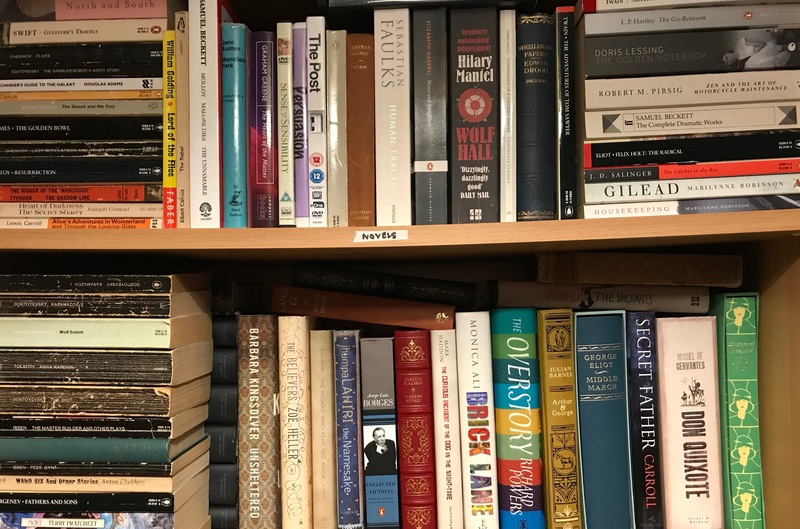 I scanned my crowded shelves. After a frustrating few minutes, I spotted something. 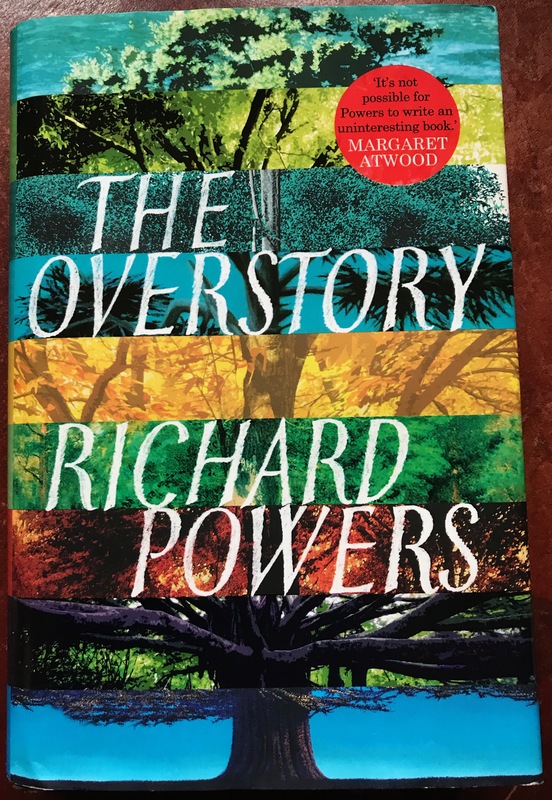 I had bought Richard Powers’ book in June this year, and made a definite attempt to read it after I came back from the cruise with a strong sense that I needed to build on my connection with nature. It didn’t click at that point and I gave up the attempt after only a few pages. It was far easier to immerse myself in Braggini’s How the World Thinks and McGregor’s Living with the Gods along with Bellaigue’s The Islamic Enlightenment. However, after reading Unsheltered by Barbara Kingsolver, I was strongly drawn to The Overstory. I went back to it again. I still struggled a bit with the rather disjointed opening sections. It seemed to be failing to meet the criteria I mentioned at the start of the previous post. I explained there that for me a novel should ideally combine the capturing of consciousness with some form of interest-sustaining narrative. The story skipped from character to character too swiftly for me to easily engage, at first, disrupting any sense of both narrative and consciousness.
. . . the soil weighs just what it did, minus an ounce or two. There is no other explanation: almost all the tree’s mass has come from the very air. Her father knew this. Now she does, too. The book drew me deeper and deeper into the life of trees. Something important was going on here. I was resonating unexpectedly strongly. Her trees are far more social than even Patricia suspected. There are no individuals. There aren’t even separate species. Everything in the forest is the forest. Competition is not separable from endless flavours of cooperation. Trees fight no more than do the leaves on a single tree. The slow push of graphite across paper reminds [Patricia] of the steady evaporation that lifts hundreds of gallons of water up hundreds of feet into a giant Douglas-fir trunk everyday. The solitary act of sitting over the page and waiting for her hand to move may be as close as she’ll ever get to the enlightenment of plants. And much more of course, with many other characters, now more fully developed. But I sensed that at some level there was even more than that. 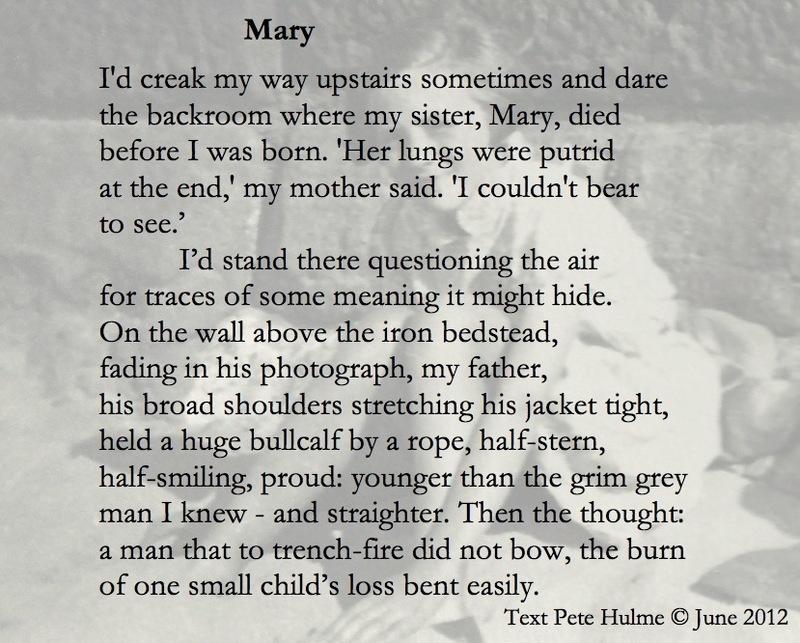 Passages like the ones quoted above moved me to tears. What was going on, I wondered. It felt as though I was reconnecting with something whose importance I had kept discounting. 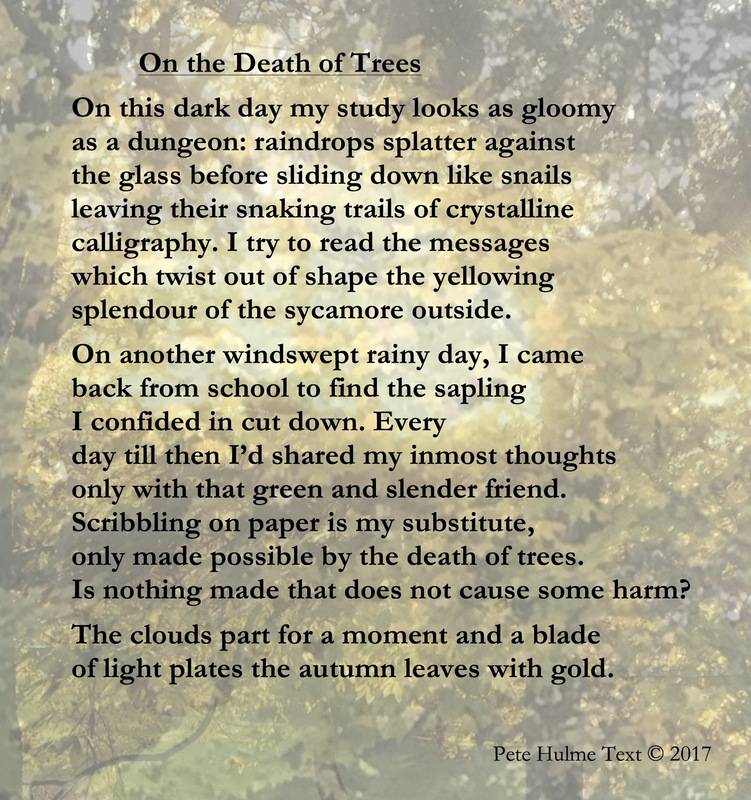 My poems have always been wiser than me, and the ones I’ve written about trees should have been enough to bring the full depth of my feelings into awareness, but somehow they never did. My Entishness has always been a hint, as was my Hearth dream. But it was the intensity of my feelings in response to the book that took me by surprise. As other posts have explored on this blog, I’ve never managed to link my pool of pain to anything specific. Some of it clearly relates to the atmosphere of grief in my childhood home, but that never seemed an explanation for the whole of it. I found myself wondering whether this could account for the residue. Just as when I went into hospital as a child that second time and leapt to the conclusion that I had only myself to rely on, which had the effect of distancing me from my parents, especially my mother, was it possible that the grief I felt at the cutting down of the companionable tree of my childhood caused me to pull back from nature in the same way, and with equally enduring and destructive patterns of feeling and behaviour that I have not revoked as yet. On top of that there were further parallels. I was not simply grieving for the tree: I was identifying with it. I knew what it was like to be alone and held down by power against my will, to be anaesthetised and then cut in my case: to be simply held and cut in the case of the tree. I’d learnt that to connect with any other living being risks harm or the pain of loss or both. Connecting so closely is not safe. And yet I knew we cannot live without connections. It took me decades to rebuild a trust in and connection with people, which even now can be easily damaged in terms of any particular relationship. I have never worked anywhere near as hard to do the same with trees and nature, except for a brief period in Hendon when I took pains to at least identify most of the neighbouring trees by name. Otherwise it has been token gestures such as high-speed walks up hills or in woodlands, more in the interests of fitness than the exploration of nature at close hand and with affection. I was still not sure how this would play out. It was not clear how I could balance my need to respond to people with my need to connect with trees. The Overstory made it clear that trees stand in need of my protection, and that by protecting them I would be protecting humanity as well from the consequences of an aspect of our folly. It felt as though I might be on the right track. Adam is the psychologist visiting the protesters to research, as he puts it later, ‘What keeps people from seeing the obvious?’ He then mentions the bystander effect and I burst into floods of tears. I spoke to the tree that was cut down in my childhood. I clutched the book tight as I cried. The depth and complexity of my largely discounted sense of connectedness with trees was beginning to reveal itself. I felt I had just reconnected with something of immense importance, far greater than I had so far realised. I’m still not sure how far it extends exactly. It will take time for me to understand this properly. I just knew at that moment how intensely I love, and always have loved trees. The loss of the tree, my Entishly slow ways of processing experience and reacting to it genuinely (I can fake normal, react faster and betray myself all too easily), my love of clothes with an earth colour, my dream that powerfully linked my heart with the earth, and the way my name echoes peat for me, have always been strong hints. I never realised until now though just how powerfully certain feelings were running under the surface, generating irresistible currents that carried me away from the fertile ground of this insight. 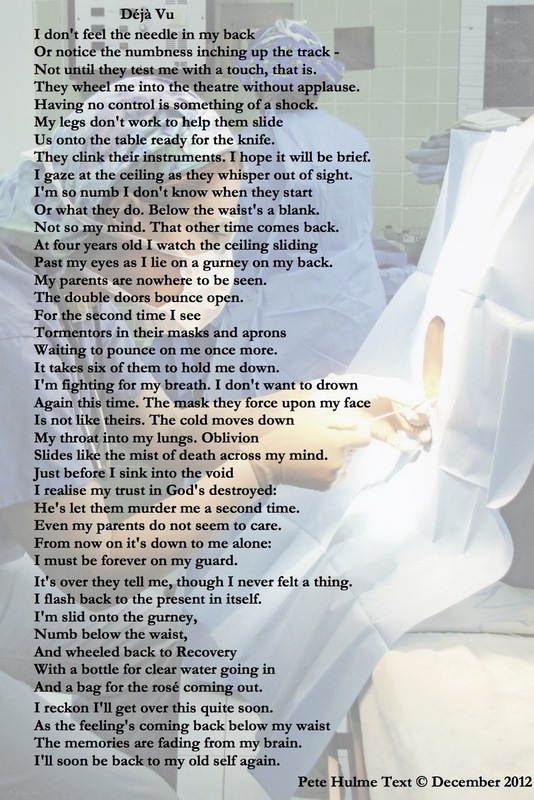 I never recognised they were almost certainly part of the river of pain within, flooding into the cellar of my mind from interrelated experiences of grief – my parents torn apart by my twelve-year old sister’s agonising death, my pre-school self feeling abandoned in hospital a second time, my defenceless tree cut down in minutes by my own family. I now need to learn how to integrate this insight into my hearticulture calling. I need to learn how to express my love of trees. Ideally I’d like to save a rainforest, but I guess I’ll have to find something closer to home to act on. Hopefully in the future I’ll at least be able to deal more calmly under pressure of time with a frustrating queue. An Ent would be more patient after all. I’ve finished The Overstory now. It was a sandwich. The best flavour was in the middle, but it was well worth reading, even if towards the end it had lost most of its power to move me. It has shifted my consciousness, lifted it – decisively I think. What more can I fairly expect of a book? 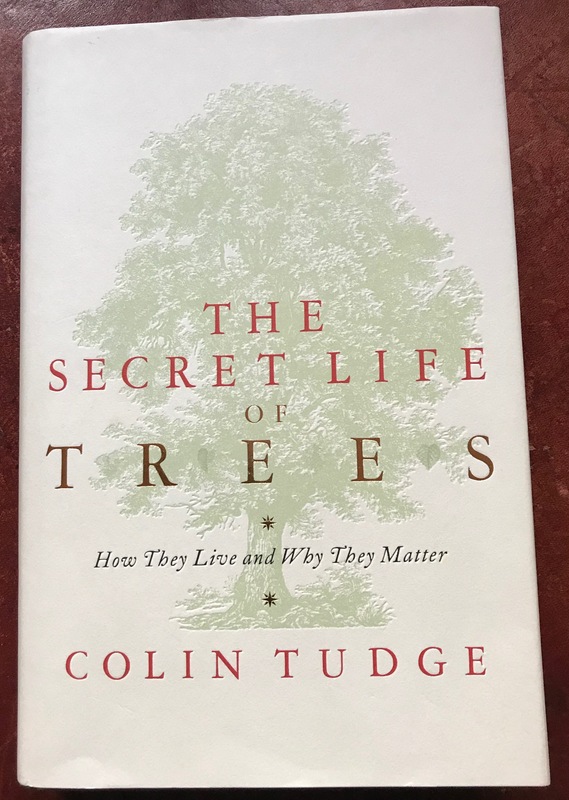 I was thinking I might buy Wohlleben’s The Hidden Life of Trees, until I suddenly remembered that I’d already got a book of almost the same title, The Secret Life of Trees by Colin Tudge. I started to read that one but got derailed by Naomi Klein’s This Changes Everything.
. The answer he gives is ‘Mostly other people.’ While this wasn’t a key insight for me right then, it resonates with the Bahá’í emphasis on the imperative need for all of us to independently investigate the truth.